Do you have enough attic insulation in your Columbus, Ohio, home? 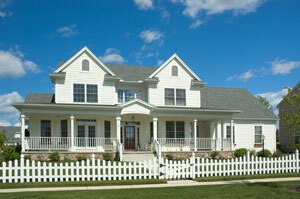 Like many homeowners, you may not know how to determine if your home is adequately insulated. Fortunately, the experts at 31-W Insulation can help. If you’re experiencing any of these issues, then you could probably benefit from installing additional attic insulation. At 31-W Insulation, we not only install our customers’ insulation and other home improvement products, but we also help them choose the best products for their particular needs. We can assist you in choosing batt, rolled, or blown-in insulation from CertainTeed, Owens Corning®, or another leading manufacturer, based on your home’s structure, your desired level of energy efficiency, and your budgetary requirements. In addition to attic insulation, Columbus, OH, homeowners can also rely on 31-W Insulation if they need garage door systems, marble fireplace surrounds, simulated stone siding, or practically any other home improvement product. Whether you’re remodeling the inside of your home, enhancing its curb appeal, or making it more eco friendly, we’ll provide the level of customer support you deserve, perform the quality of workmanship you demand, and offer only the best products on the market. To learn more and to receive a free estimate, contact us today.